Home » Canada » Bookshops are magical… in any country! Bookshops are the most exciting places on earth. 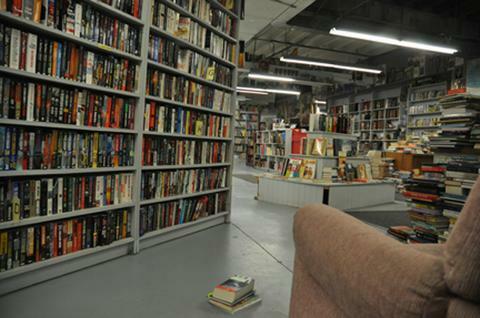 Nothing gets my heart racing like the prospect of a leisurely browse amongst the musty-smelling, crowded shelves of a second hand bookshop. You never know what treasures you might unearth. And by that I don’t mean a rare or valuable first edition (I wouldn’t have a clue how to tell the difference, is a first edition written in gold ink or something?). I mean the treasures that are valuable to you. You might find a book that you have been searching for for years or a previously unknown book by your favourite author that was only printed in a short run or in a different country. It’s these kinds of treasures that make my palms sweaty with anticipation and my knees tremble. No wonder Husband feels like he’s the ‘other man’ when I go into one of these places. Does this sight make anyone else grin with happiness? In a past life, and by that I mean, in my younger days, I was the proud owner of a second hand bookshop. Fresh out of university, I decided to indulge my passion while I was financially irresponsible. With no mortgage and no dependants, I spent two years running ‘Second Edition’, a bookshop in the small town of Paisley. While I loved every minute of it, I soon realised that I would never make my fortune selling pre-loved words and with grown-up responsibility and mortgages beckoning I made the heart breaking decision to close the shop and go and work in a theatre. I never once regretted taking the plunge into self-employment and there are many days I wonder if I could do it again. With a decade of experience under my belt, would I be able to make it work? While I grapple with these thoughts, I take every chance I have to explore other people’s version of Nirvana and frequent any and all second hand bookshops that I come across. 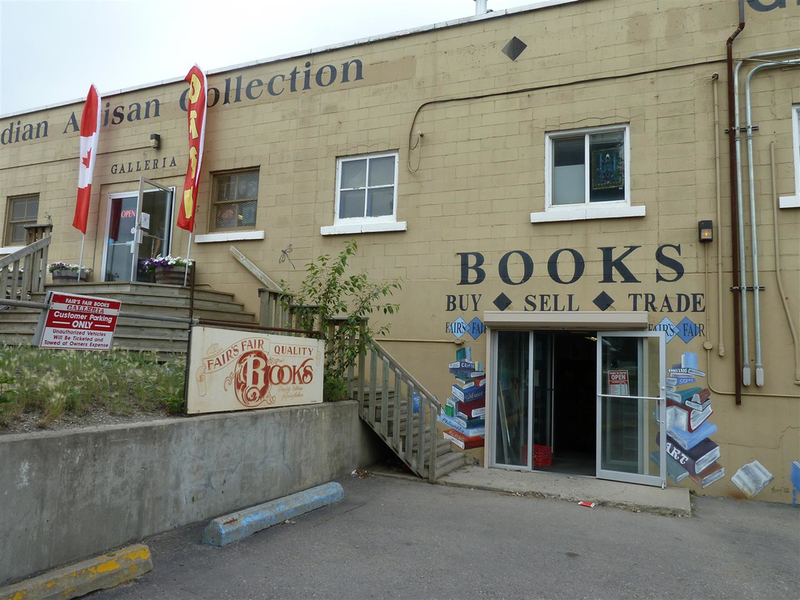 During my recent visit to Canada I spotted a bookshop in Inglewood called Fair’s Fair. Although time was short and I knew I didn’t have much room in my luggage, I couldn’t resist a look around. It was everything I had hoped it would be. Standing in the door, there was a ramp that took you down into the belly of the shop. It looked like it used to be a warehouse of some kind and there were shelves as far as the eye could see. Four or five people were milling about browsing and there was a man and woman behind the counter. To top it all off, there was a rabbit sitting on the counter top. Not in a cage, just sitting there quite the thing. It was being absentmindedly stroked by the woman while she chatted to someone on the other side of the counter. And that ladies and gentlemen, is exactly why second hand bookshops are the greatest places on earth. Can you imagine walking into your local Waterstones and there being a rabbit sitting at the checkout? A gerbil in the Post Office? A hamster in Tescos? One of the reasons people open second hand book shops (apart from a love of the written word) is so they can be as quirky and strange as they want to be without having to justify it to their boss. They can open up when they like, they can bring their pets to work, they can spend all day talking to the chatty people that bookshop invariably draw in. They certainly don’t do it for the money, trust me I know! Aware that I had a limited amount of time, I waved hello to the couple behind the counter and headed straight to the biographies section. I always start here in a bookshop before migrating to the sci-fi/horror/fantasy section (usually the smallest section in the shop) before ending up in the general section and working my way alphabetically through my favourite authors. You’ve got to have a system! I soon realised that maybe popping in wasn’t such a good idea. We already had struggled to fit everything into our suitcases on the way here so buying an armload of books maybe wasn’t the most sensible idea. But there were so many books that looked interesting! 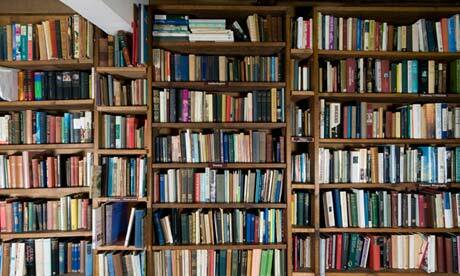 A real treasure trove of the written word. Rock biographies, actors life stories. And then I found the sci-fi/fantasy and horror section. And it was HUGE! Not the usual couple of shelves that are usually found at the back of the bookshops back home but shelves upon shelves lining the majority of the back wall. Excited was not the word! I took a step back and looked up and along. I felt like a kid in a sweet shop who had just been told that they were only allowed to buy one treat. Both time and baggage allowance were not on my side. It’s an addiction!! There are just so many good books and I’m worried if I don’t pick up a copy then and there I might not see it again! I lived in Nanjing, China for a year for graduate school, and there had the most amazing bookstore! It was called Librairie Avant-Garde, and was a converted parking garage. Absolutely beautiful! !